Cover for vans and commercial vehicles up to 3.5 tonnes and carriage of own goods now available. For vehicles over 3.5 tonnes, please contact the ChoiceQuote Commercial Insurance haulage insurance team. 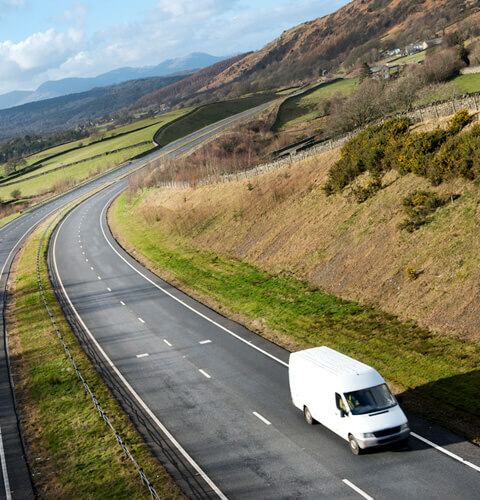 If you’re looking for commercial vehicle insurance cover for vans with a gross vehicle weight of up to 3.5 tonnes, you can now get a van insurance quote from ChoiceQuote Personal Insurance. Simply complete the form above and one of van insurance team will give you a call back. Alternatively, you can call us free* on 0800 440 2180. Got a bigger vehicle? Visit the ChoiceQuote Commercial Insurance haulage and HGV insurance section and arrange a call-back now. You could save on your van insurance with ChoiceQuote Personal Insurance today! Looking for a van insurance quote? Simply fill out the details below and let our Van Insurance Team call you back to discuss your requirements. *Calls to 0800 numbers are free from UK landlines. Calls from mobiles may be charged. Please note: We cannot provide van insurance for social, domestic and pleasure use only.